Over the past few months I’ve been carrying out some further research about the great artist and Theosophist, Art O'Murnaghan. As readers will know from my earlier post on him, the trip has taken me down some odd paths that at times appear strange bedfellows – WB Yeats, The Society of the Inner Light, Ella Young, Irish Nationalism, Sara Allgood, Theosophy, Irish Drama, Dion Fortune and Philadelphian whiskey maker, Joseph McGarrity. 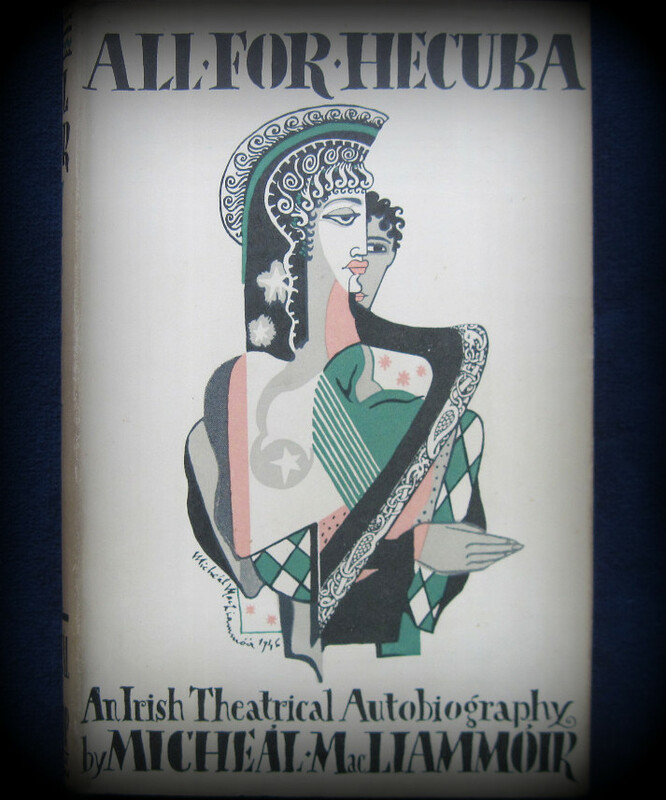 In these searches I was delighted to come across a 1946 book, All for Hecuba, by Anglo-Irish dramatist and actor, Micheál Mac Liammóir. A photograph of the book's cover is shown below. In his autobiography Mac Liammóir provides a captivating description of Art acting in Denis Johnston’s play The Old Lady Says No. Art O’Murnaghan wielded the drumsticks with untiring devotion and a rapt expression like a druid at some sacred rite. He was an elderly saint who worshipped Angus and Lu and the ancient gods of Ireland and who has a miraculous flair for all the known arts, from the loveliest Gaelic illumination in the manner of the fifth-century monks to the making of properties, the writing of music, the research of ancient lore, the management of a stage, and the playing of character parts – his acting as Firs in our production of The Cherry Orchard many years later was of the rarest beauty and distinction. Interestingly Johnston's play was originally entitled Shadowdance and sent to the Abbey Theatre in Dublin for consideration. However, Willie Yeats had sent the script back to Johnston with “The Old Lady Says 'No! '” scrawled over it, so Johnston promptly re-titled it this and sent it to the Gate Theatre who loved the play. The “Old Lady” Yeats referred to was of course none other than the formidable Lady Gregory! 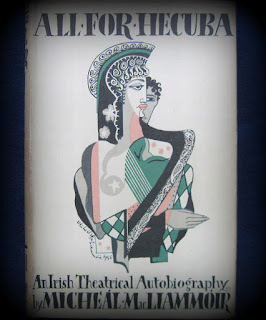 Despite this initial decline, the play was subsequently performed in July 1929 at the Abbey, and, it was from this performance that the above description of Art is taken from. The play is a harsh satire on the increasingly parlous state of post-independence Irish Free State society. It opens with an over-the-top pastiche of a Robert Emmett play, mocking the earlier 19th Century Irish melodramas of Dion Boucicault. The unfortunate actor playing Emmett’s role gets a knock on his head. Regaining consciousness he believes he is none other than the actual Robert Emmett. He then is taken on a journey through 1920s streets of Ireland. The scenes played out show the sheer hypocrisy of modern politics and what many felt was an empty materialism embraced by the Irish people generally at the time. At one level there is perhaps something akin to the Wastelands in the play - no doubt Dion Fortune would have resonated with this commentary from a broader perspective. It’s a great shame that some photographs of the cast and the production are not available. Hopefully that will change over time. Someone out there has to have something! What did it mean to be Celtic? Being Celtic was a way of seeing and feeling, of interpreting and inhabiting the world. The Celtic domain wasn’t simply a physical landscape spanning Ireland, Scotland, Wales and other regions on the Atlantic rim – it was a dream-space, a kingdom of the imagination with a coherency, a taste all of its own, ‘Room to Roam’, as the George Macdonald poem said. And this dream-space was inside me too. Suddenly someone had switched the light on. 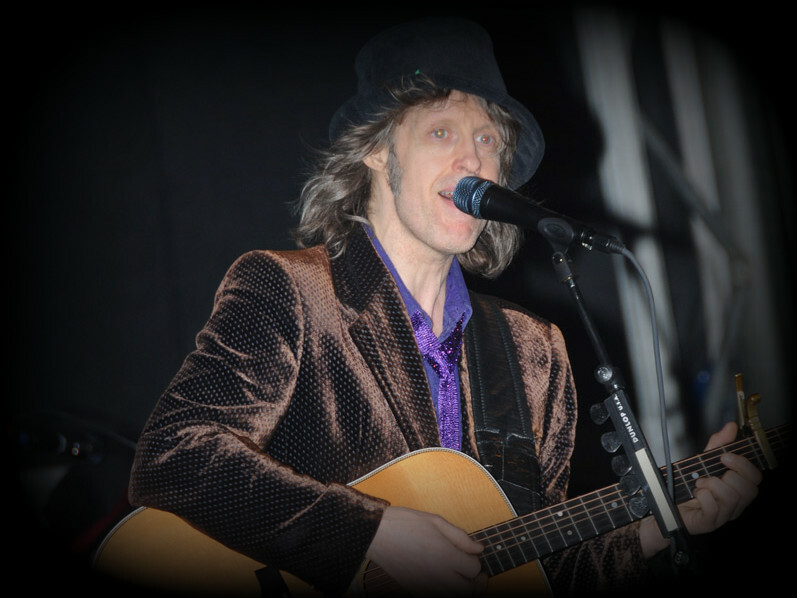 ‘The Big Music’, with its lyric about discovering The Mysteries, was the first number I wrote after the expedition to Foyle’s (bookshop), and every song on This Is the Sea was full of my new discoveries. Sometimes the influence was direct, like on ‘The Pan Within’, an occult love song, the premise and title of which came from Dion Fortune’s writings; and sometimes more general, as on ‘Trumpets’, a kind of gnostic devotional addressed to a being who was part God, part lover. The Perennial Wisdom fired my imagination and emotions and without its inspiration, songs like ‘The Whole of the Moon’, ‘Medicine Bow’ and ‘This is the Sea’ wouldn’t have been written. Adventures of a Waterboy is well worth a read, particularly if, like me, you’ve been a fan for almost the past thirty years. You can purchase it directly from the Lilliput Press in Dublin or from Townsend Records in England. 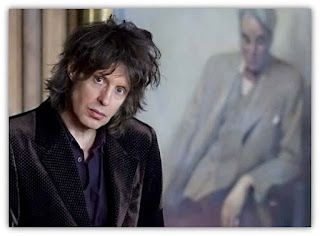 Regrettably the story stops before the recent creation of The Waterboys’ most magical musical offering, An Appointment with Mr Yeats. Now, many musicians have tried to put W B Yeats’ poetry to music but most have failed spectacularly—perhaps with the exception of Celtic troubadour Christy Moore. 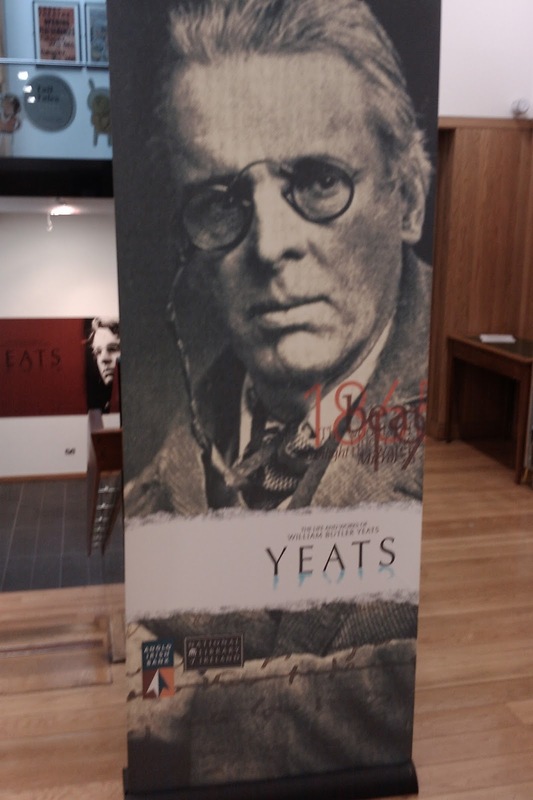 However, ‘An Appointment with Mr Yeats’ works and is an alchemical gem to be treasured. A number of reviewers have suggested that the album may be Scott’s greatest artistic legacy to date. I’d be inclined to agree. While the ghost of Willie Yeats is the firm foundation of the work, Scott clearly adds the inspiring light of his own soul and creative spirit to produce something more special than either artist could have by themselves. Fortunately, in a recent interview, Scott suggests that there will be a follow up to the first stage of his autobiography further down the track in a few years. I’m very much looking forward to reading it. soul of the race is unchanged and belongs to Nature. Excerpt from ‘Chant Pagan’ by Dion Fortune © The Society of the Inner Light.